If you’re selling one on one services, Jereshia explains the importance of offering a solid service at a premium rate. Time is definitely money and you shouldn’t be operating in the position to short change yourself. The closer a client has access to you the higher the price point needs to be because as an Entrepreneur your time is inventory and direct access to it needs to be priced accordingly. But it is important to note that one on one coaching will not help you grow you scale your business. Through her own experience, Jereshia faces many people who want to work with her one on one but shares how more hands-on support will not solve the underlying issue of the clients fear of moving forward and committing to their own transformation. The responsibility remains within the client with a coaches role serving as a guide. 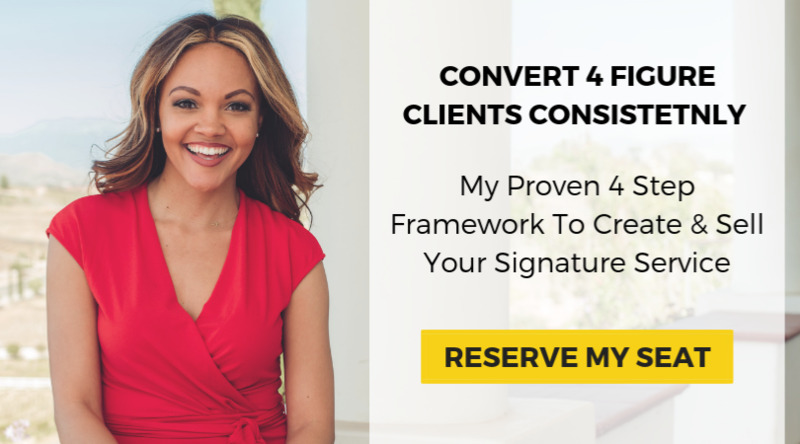 You’ll appreciate the level Jereshia operates at when she shares that she often has to talk people out of considering one on one coaching with her when they can receive the same framework with a community of support through her lower costing program. Tune in to find out the biggest hesitation Jereshia receives from her clients and what you should be doing to grow your business instead of one on one coaching on this episode of JereshiaSAID!